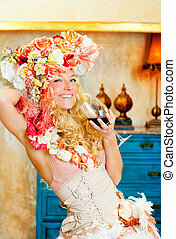 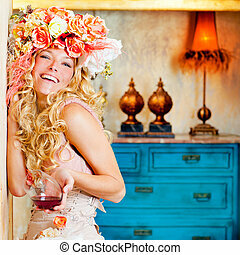 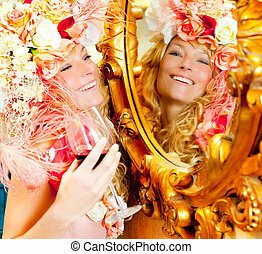 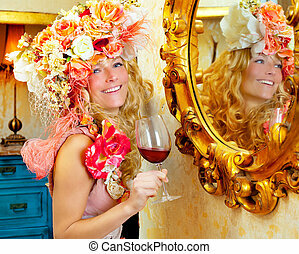 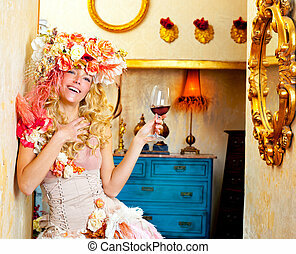 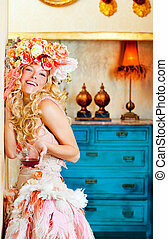 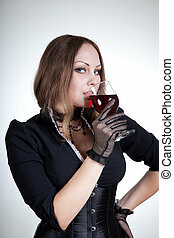 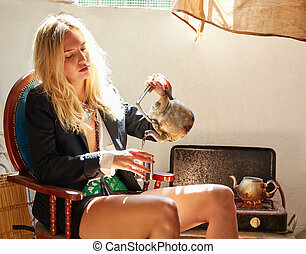 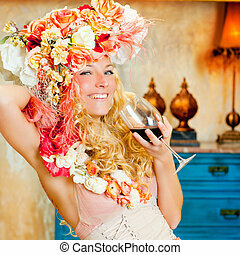 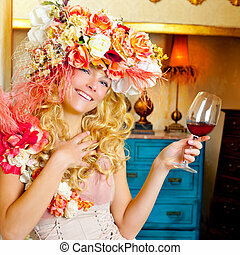 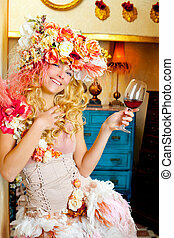 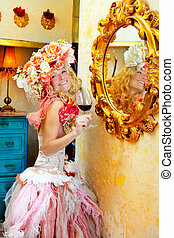 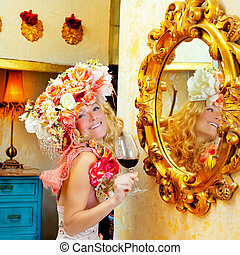 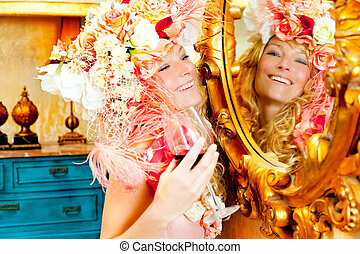 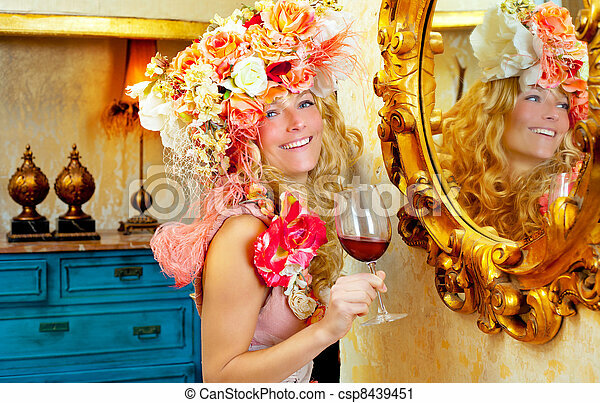 Fashion baroque blond woman drinking red wine in grunge house. 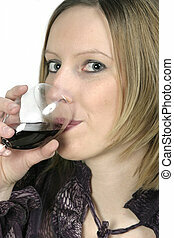 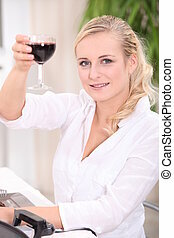 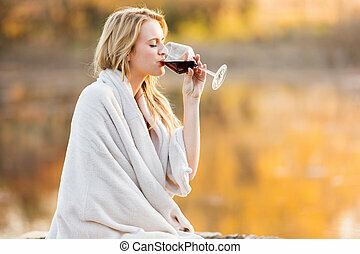 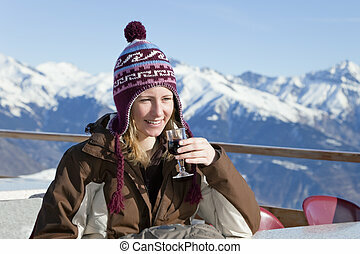 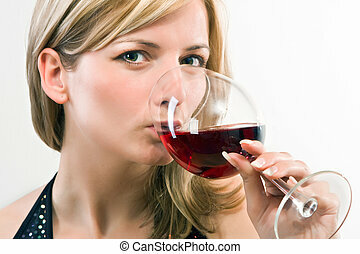 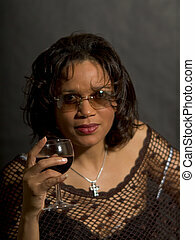 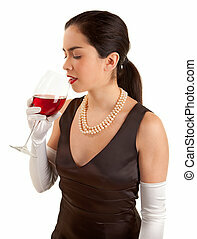 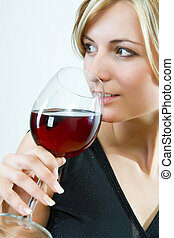 Photo of a beautiful blond female drinking a glass of red wine. 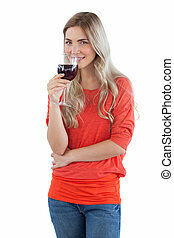 A beautiful woman is about to drink red wine.